With a small footprint, vertical storage solutions are vital, hence the many skyscrapers in Hong Kong right? From winter clothes to bed linen, to valuable keepsakes to dried goods in our kitchen cabinet, our storage space is supposedly meant for things of high value (not only $ wise) and practicality. But upon further inspection, there is a real drawback with storing things up high! 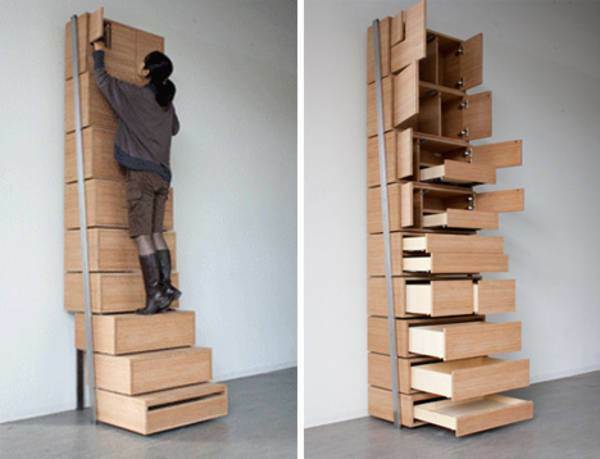 We more often than not neglect the items we store up top because they are out of reach. Hence what we put way up there generally is stuff that we are iffy about tossing. Stuff like free bags, shoes that we ‘think’ we’ll wear for ‘that’ occasion that never comes, and gifts that we don’t love but don’t hate either just to name a few. On top of that, we stuff things at the top because we run out of space to stuff things below. I admit, I’m guilty of this, as one time when cleaning the kitchen I found dried mushrooms on the top shelf dated from 2011. So how do we avoid the black hole lurking in the upper reaches of space? Tip 1: Get rid of the stuff up top that hasn’t been used for ages. Those extra free water bottles from your local gym or recycled grocery bags can either be recycled or donated. Tip 2: Think of what you store on top, if you want to access those items frequently, they belong below within your reach. Tip 3: Only store your suitcases, bedding, and large meaningful memorabilia on the top! Tip 4: Use transparent storage boxes up top, because if you can’t see what’s inside, you will forget it. Tip 5: Have a slim folding step stool. You want one that is lightweight and easily accessible to make it as easy as possible for us to get to things that are on top. If you are 6’3″ or 194 cm, thank your parents that you are blessed with great genetics! 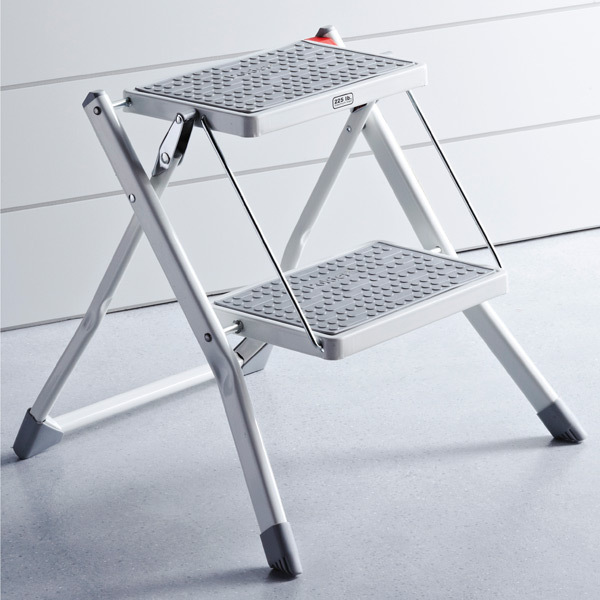 2) Easy Fold Step Stool (cheap and sturdy-can hold up to 225 lbs/102 kg) – Try to find them in your local bric-a-brac stores or in Japan Home Centre. 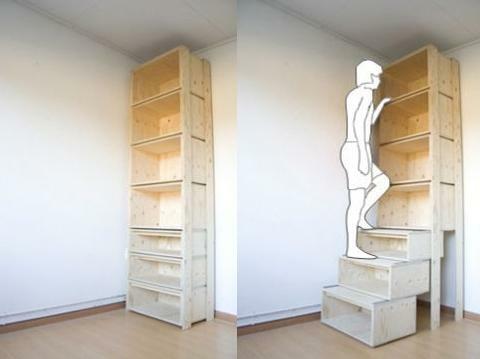 3) Pray that this StairCase designed by Danny Kuo can be affordable and mass produced!